RCA to RCA cable – at least I think that’s what it is. 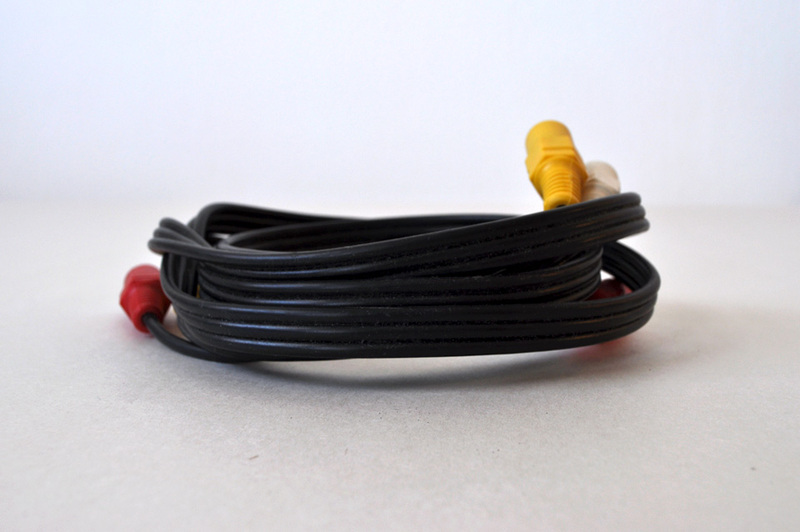 The yellow end is for composite video, and the white and red ends for audio. This cable has all three on both ends, which seems a bit odd to me, but then I am not a hardware geek, I’m more of a software geek. 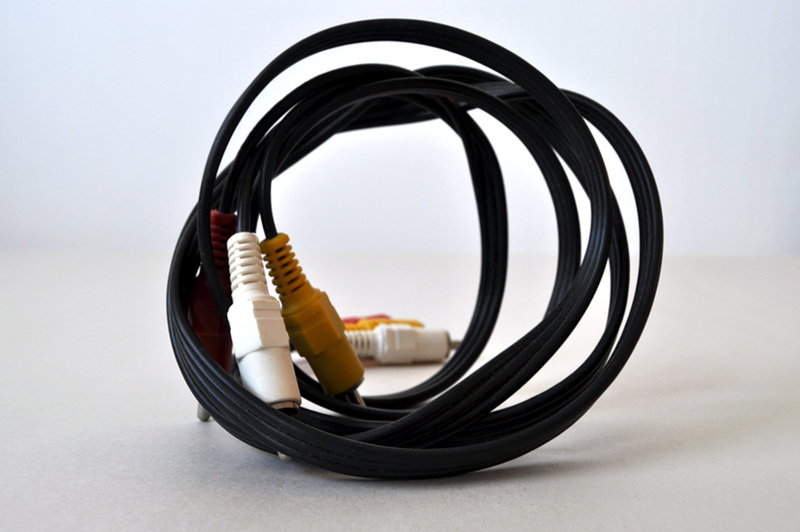 What is composite video? Well, it’s “the format of an analog television (picture only) signal before it is combined with a sound signal and modulated onto an RF carrier.” Feel better now? It feels like a couple of years ago at least since PBS was advising all those watchers in the US that soon their rabbit ear television sets would no longer pick up the television signal because of the conversion to digital. You could still pick up the signal, but you needed to enhance and augment your bunny ears with a box. Here in Canada, the CRTC granted the CBC an extension until August 2012 to continue broadcasting in analog. After that “everything that can be digital, will be”. Forget where I read that quote, but it was years ago, and it stayed with me. This cable belongs to that era. We don’t have the old television anymore. I remember the back of it was bigger than the screen size, it weighed a lot, and I was a bit surprised to find that we got at least 15 responses to our ad on Craigslist when we gave it away for free. It went to a young family with kids, to play video games in their basement. Status: A broken record here, the sea monster owns all these redundant cables. I should start soaking them in water in preparation for their own conversion.